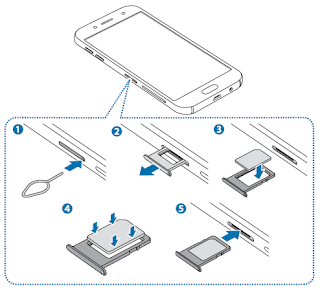 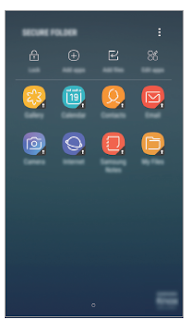 The Samsung Galaxy J7 Pro user manual provide detail reference information such as device layout with menu and key functions on page 9, Battery charging tips and precautions on page 12, Installing the SIM or USIM card on page 13, Using dual SIM or USIM cards (dual SIM models), Installing a memory card on page 18, Formatting the memory card, Controlling the touchscreen on page 22, Using the notification panel, Setting auto lock for Secure Folder, Backing up and restoring Secure Folder on page 40, etc. Then about Transferring data via Smart Switch on page 47, Updating with Smart Switch, Making calls, tutorial Blocking phone numbers, Importing contacts on page 62, Using secret mode, Taking photos or recording videos on page 72, Camera settings on page 79, using samsung pay, Syncing images and videos with Samsung Cloud, Using S Health, Listening to the FM radio using Google apps, and more. Other important information such as device settings for example Connecting to a Wi-Fi network, Pairing with other Bluetooth devices on page 106, Using the NFC feature, Mobile hotspot and tethering settings, Device maintenance, printing guide, Lock screen and security, Unlocking the screen with fingerprints, Backup and restore, also troubleshooting on page 135.